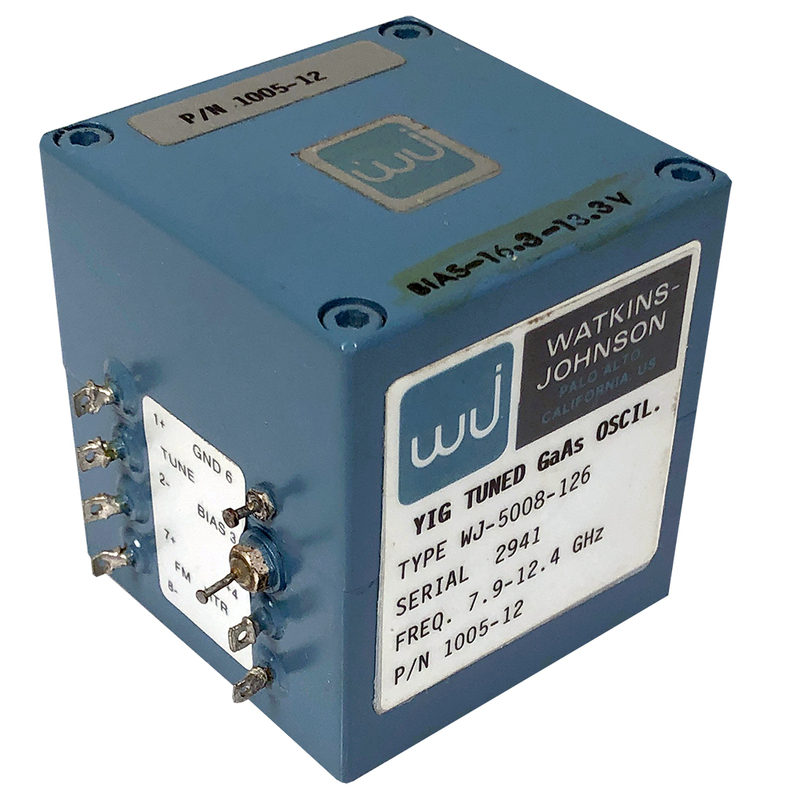 Watkins Johnson YIG tuned GAAS oscillator. 7.9 - 12.4 GHz. Bias: -16.3v, -13.3v. 2" x 2" x 2". New. Alt. P/N: 1005-12. Piezo / Ovenair crystal oven. 5990.000 KHz (HC-6 xtal). 115 vac oven. Octal base. Type P7. Triple shielded nestled chrome can. 1-1/2"D x 3"H. Alt. P/N: 19B206151-53. NSN: 5955-00-089-6317. Oven Industries Inc. crystal oven. 115 vac. Maintains 75ºC, ± 2ºC. Octal base. HC-6 base. Short to 2" high crystal holder. 1-1/2" x 1-7/8" x 4" high. NSN: 5955-00-573-7619. 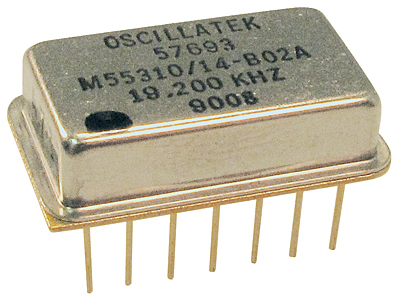 Hewlett Packard crystal oscillator. 10 MHz. Dimensions: 2" x 2-3/4" x 2-1/2". Used, but in excellent condition. Only one available. 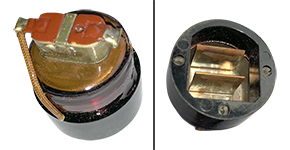 Electronic Survelliance Components YIG tuned oscillator. 1 - 2 GHz. "SMA" female connectors. Dimensions: 1.402" x 1.402" x 1.402". Used. Only one available. 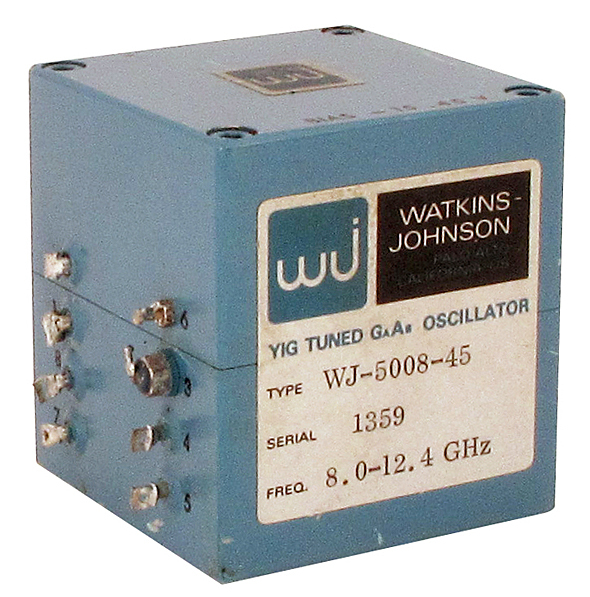 Watkins Johnson YIG tuned oscillator. 8.0 - 12.40 GHz. 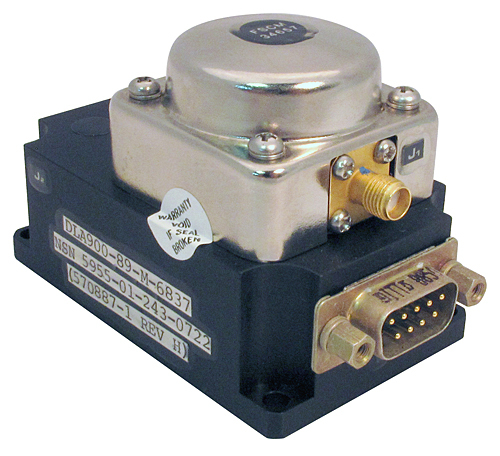 "SMA" female connector. Bias = 15.45 volts. Dimensions: 2" x 2" x 2". 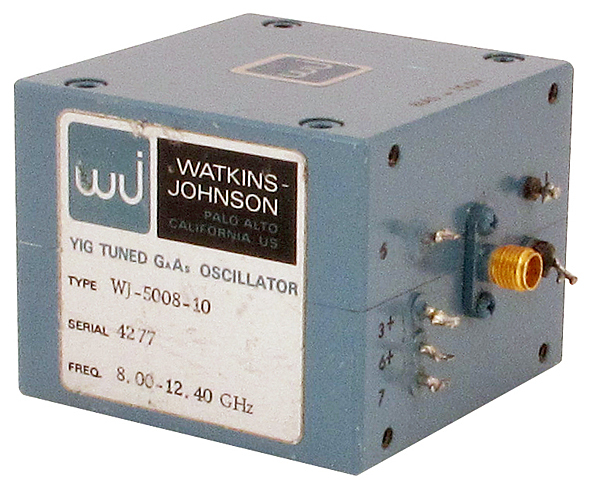 Watkins Johnson YIG tuned oscillator. 8.0 - 12.40 GHz. 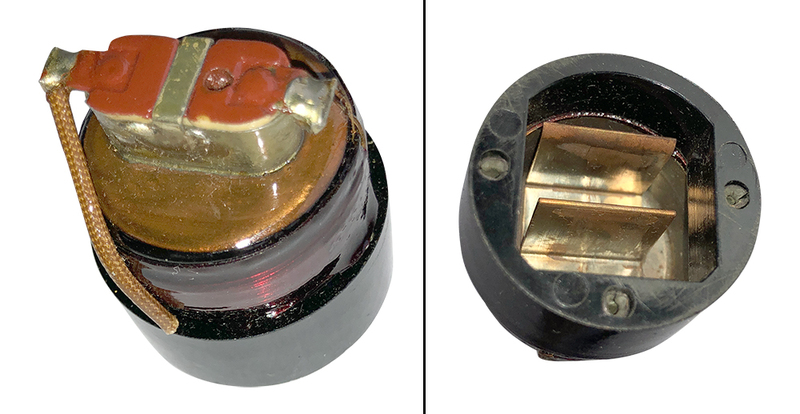 "SMA" female connector. Bias = 15 volts. Dimensions: 2.34" x 2.34" x 1.85". Used, like new. Only one available. Motorola dual crystal oven. Will cover two (2) HC6 style crystals up to 0.289" x 0.745". 24v DC. 1.18"D x 1.2"H. NSN: 5955-00-667-4574. 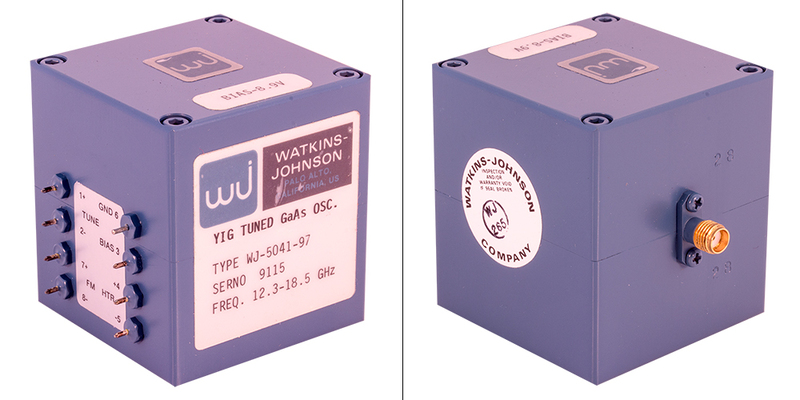 Watkins Johnson YIG tuned GaAs oscillator. "SMA" output. 12.3 - 18.5 GHz. New in factory bag. Source: Bogdan. 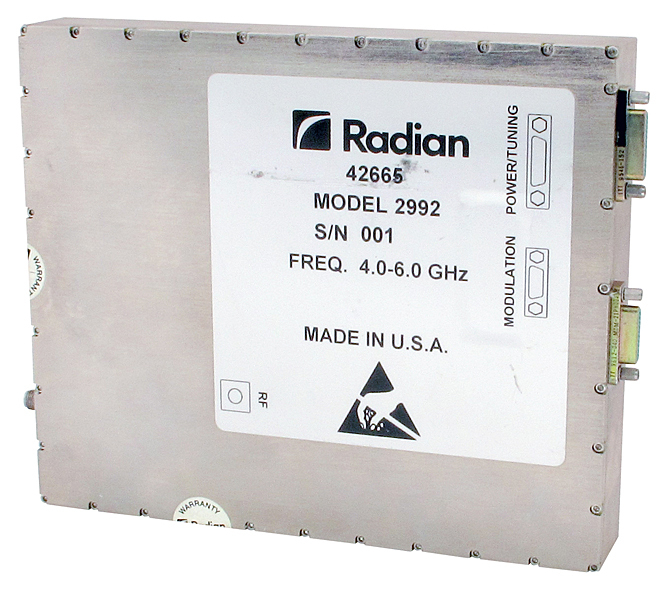 Radian Technology oscillator. Frequency: 4.0 - 6.0 GHz. Dimensions: 6-3/4" x 5-1/2" x 1". New, unused. 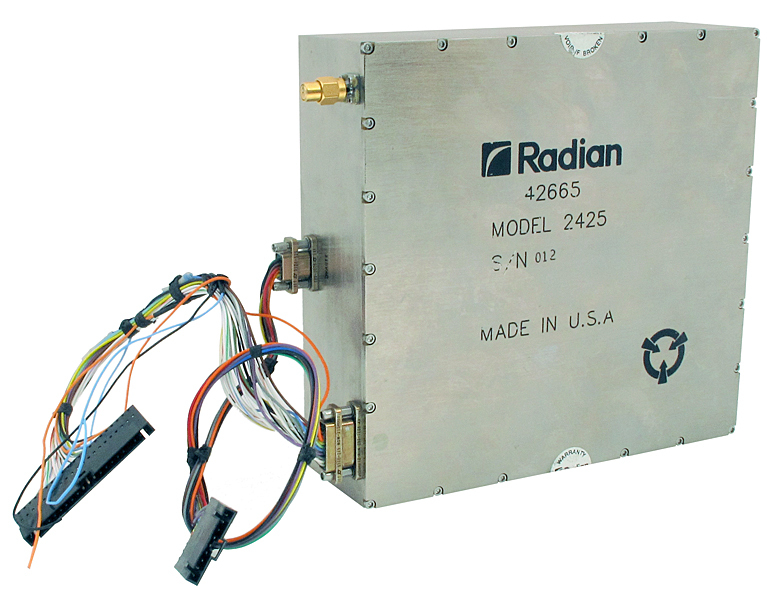 Radian Technology high stability oscillator. 2 - 18 GHz. External FM output terminated. 115 vac. "SMA" female connector. Dimensions: 6-1/4" x 6-1/2" x 2". Used. Admiral Corp. bakelite crystal oven. 27.5v, 1 amp, 75°C. 10.000 kilocycle. Fits a 7 pin miniature tube socket. 1-1/2" x 1" x 1-1/2". NSN: 5955-00-162-8393. 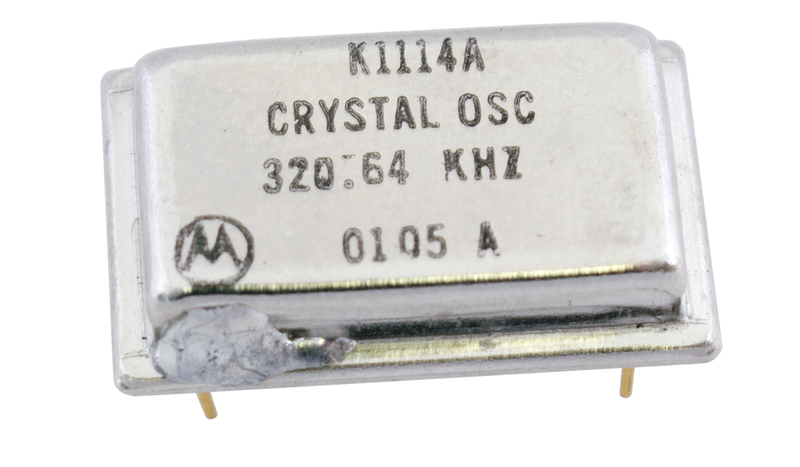 Motorola crystal oscillator. TTL-5v. 4 pins, 320.64 KHz. NSN: 5955-01-084-5738. Northern Engineering Laboratories high stability oscillator oven. Made for use in broadcast equipment. Crystal not included. Octal base for power, "SMB" connector for output. 24 vdc power required. 65ºC oven. Harris P/N: 558-0028-000. 10 position oven. Heater voltage unknown. Includes two thermal switches. 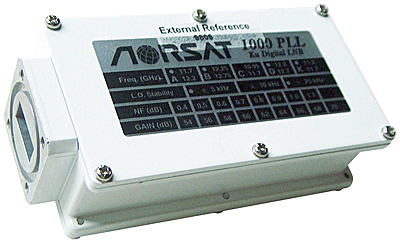 1-3/4" x 2-5/8" x 1-1/2"H.
Norsat external reference Ku digital LNB. NII-1000XC. "F" connector. 10.95 - 12.2 GHz. L.O. stability = ±10 KHz. 54 dB gain / 0.4 dB, 64 dB gain / 1.1 dB. WR-75. 1-1/2" square flange, 3/8" x 3/4" opening. New, unused. 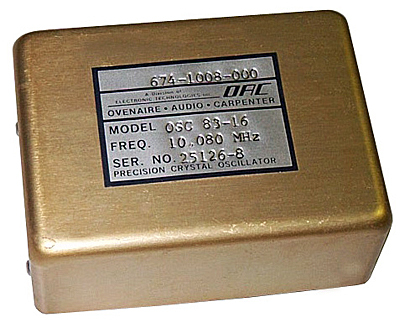 Ovenaire - Audio - Carpenter 10.080 MHz oscillator. Frequency adjust. 4 pins on bottom. 2-3/8" x 3-1/8" x 1-1/4"H. Harris P/N: 674-1008-000. 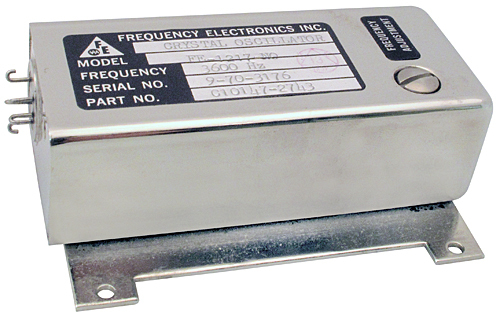 Greenray Industries 1.041666 MHz oscillator. Octal base. Trimmable frequency. 24 vdc heater voltage. 2" x 2" x 4" long. CTS Knights JK0232 octal base plug-in oscillator oven outputs stable 100 KHz signal. 30 vdc oscillator voltage, 28 vac heater voltage. 1.9" x 1.45" x 4.9" high. Less money than a bare bones 100 KHz crystal. 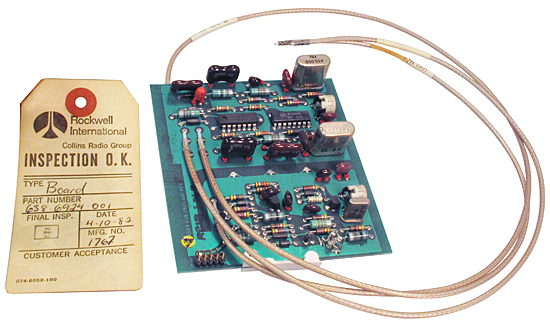 CTS Knights 970-3757-0 octal base plug-in oscillator similar to above, also 100 KHz. -30 vdc oscillator voltage, 115 vac heater voltage. Eaton YIG oscillator, driver. 0.2 - 1.8 GHz, 0 - 10v. "SMA" connectors. Alt P/N: 570887-1. NSN: 5955-01-243-0722. 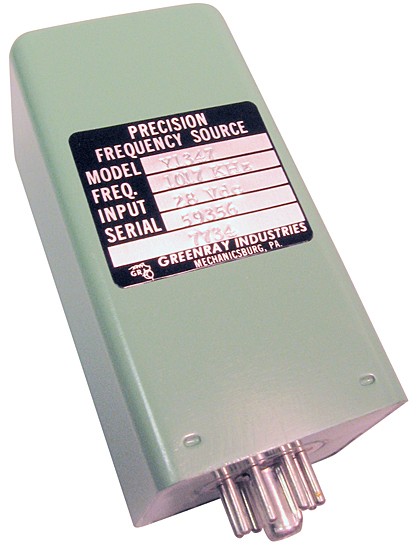 Greenray precision frequency source oscillator. 1017 KHz. 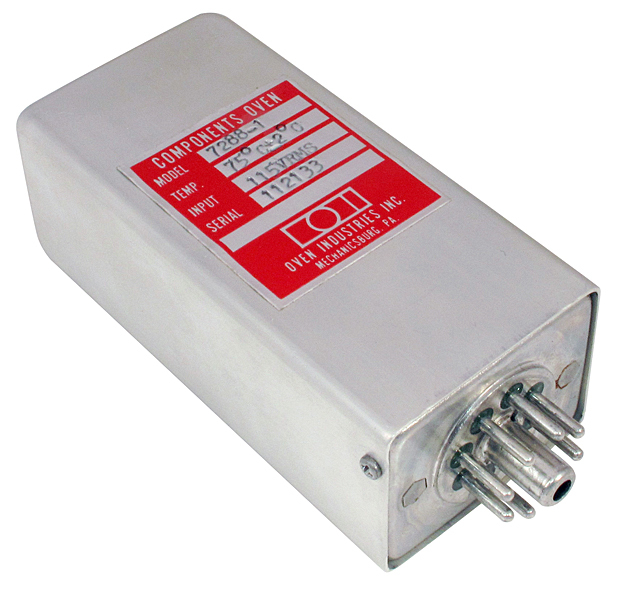 28 vdc - heater. Sine wave. Output voltage: 3.9 to 5.6 vrms. 1000 ohm load. 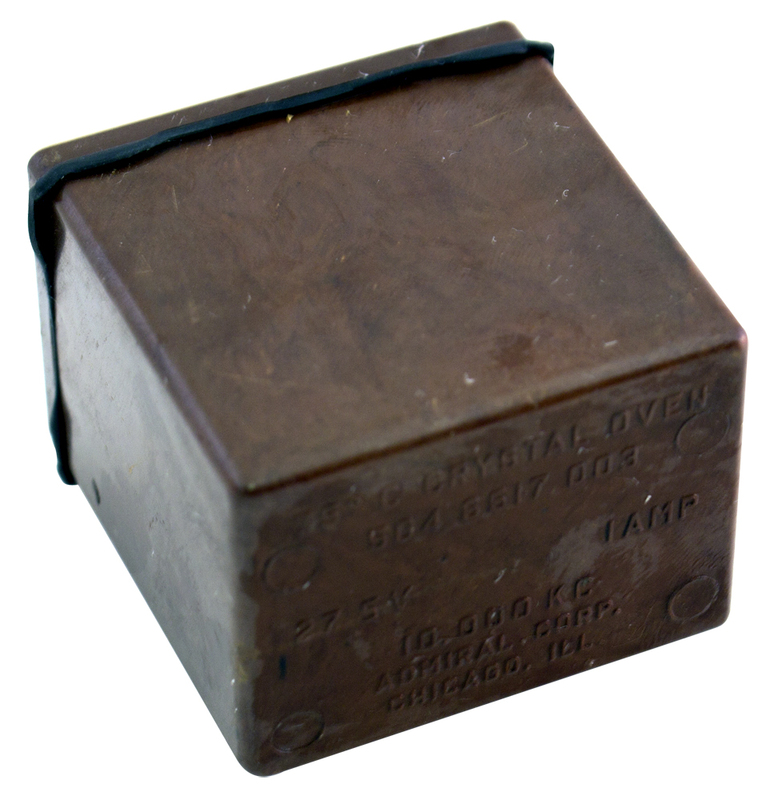 Dimensions: 2" x 2" x 4"H. Octal base. Northern Engineering Laboratories frequency standard crystals. Octal base. Made for Harris Broadcast Equipment. 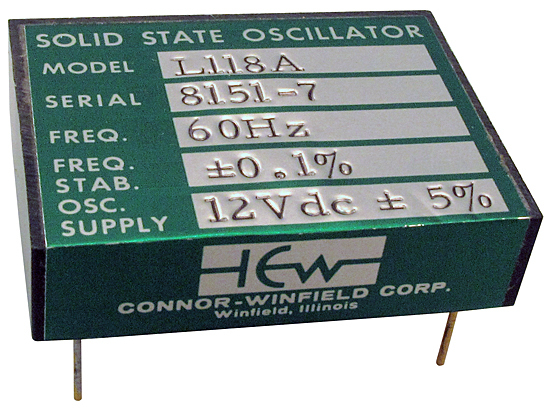 Connor-Winfield 60 Hz oscillator. Adjustable, 58.8 - 61.2 Hz. Frequency stability = 0.1%. PC mount. 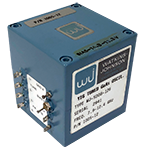 12 vdc supply. 1.58" x 1.05" x 0.41" high. NSN: 5835-00-187-8733. Oscillatek crystal controlled oscillator. 19.200 KHz. 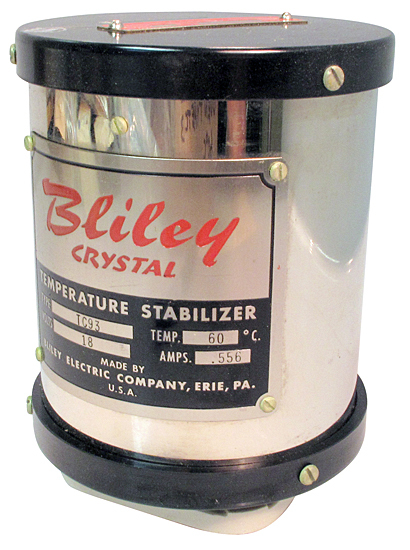 Bliley Crystal temperature stabilizer. Type TC93. 60ºC, 0.556 amp, 18 volt. Chrome finish. 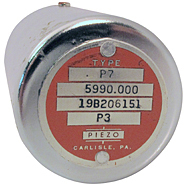 Base requires 7 pin Johnson 813 socket (122-237) which is included. Uses FT-243 crystal (not included). 3-3/4" x 4-1/2" high. 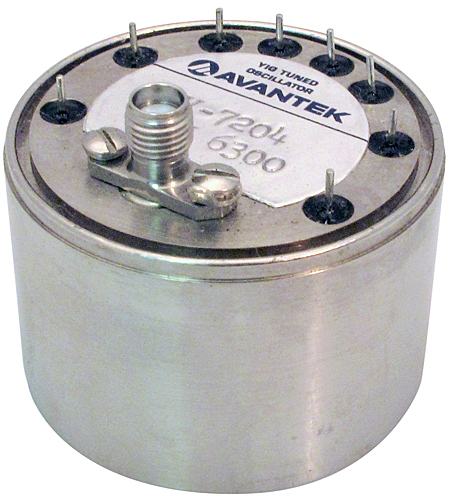 Avantek solid state - crystal. YIG tuned oscillator. 2 - 4 GHz. "SMA" female. 40 mw output. NSN: 5955-01-078-3680. Crystal oscillator for KWM-380, 100% complete and inspected, ready to go. Generates 39.6 MHz, 445 KHz and 454.2 KHz (800 Hz offset for CW tone). Frequencies are slightly adjustable. 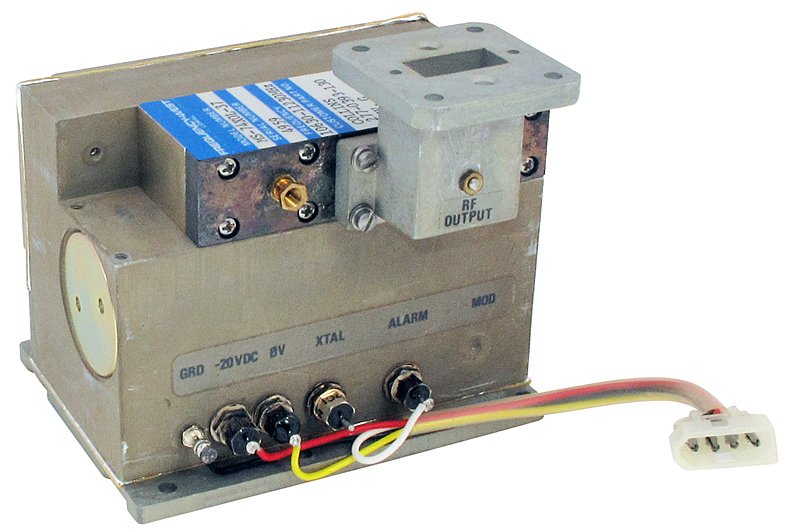 Requires only 5 vdc. 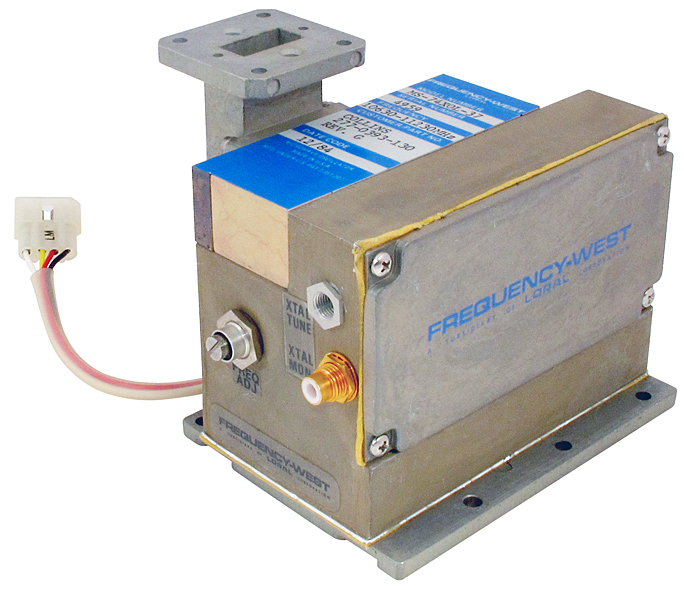 Frequency West MS74XOL-37 microwave signal source. 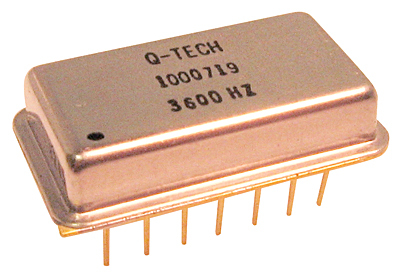 Q-Tech crystal clock oscillator. 3600 Hz. 7/8" x 1/2" x 3/16". NSN: 5955-01-041-8068. 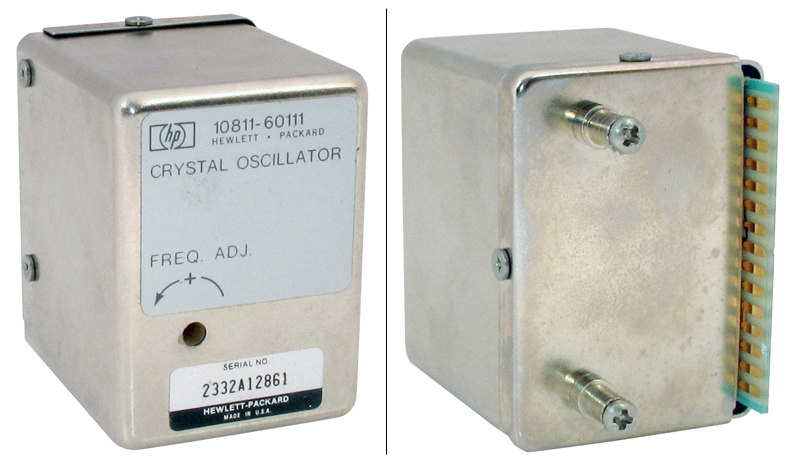 Frequency Electronics, Inc. 3,600 Hz crystal oscillator with frequency trim adjustment. No other information is available. 1-1/4" x 3" x 4". 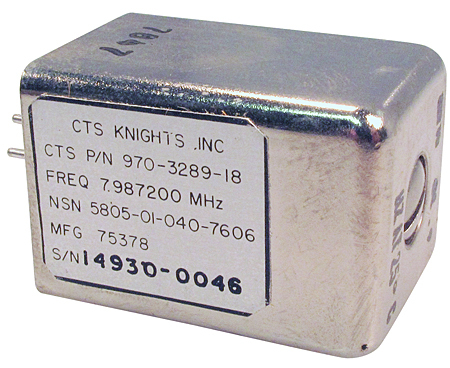 CTS Knights 7.987200 MHz oscillator with frequency trim adjustment. 7 pin tube base. 12 vdc and 5 vdc required. 1" x 1" x 1-1/2". 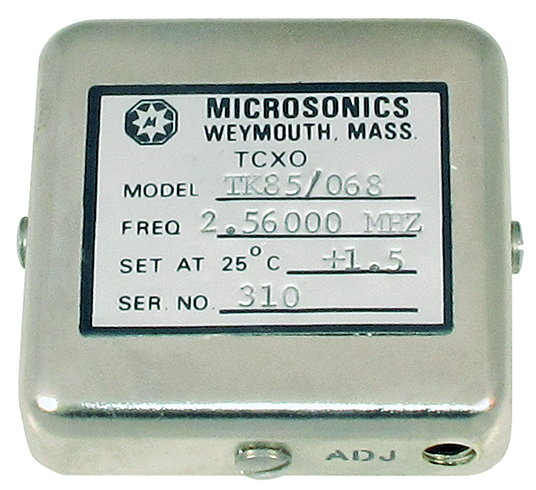 Microsonics oscillator. TCXO oven. 2.56000 MHz. 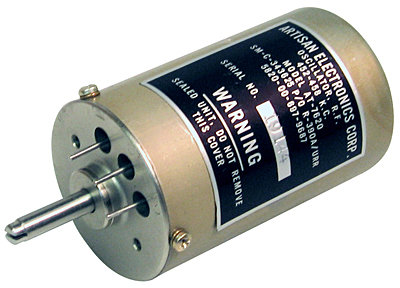 Microsonics oscillator. TCXO oven. 2.285714 MHz. Seiko / Epson 4 pin dip crystal clock oscillator. 34.188 MHz. Seiko / Epson 4 pin dip crystal clock oscillator. 44.900 MHz. Rasco clock oscillator. 3.5 MHz. 5v @ 20 ma standard. 14 pin dip package. ±100 ppm. 20.8mm x 13.2mm x 6.2mm. CTS Knights clock oscillator, 5 vdc, 16 ma supply. 14 MHz. TTL compatible. Abracon clock oscillator. 5.6033 MHz. 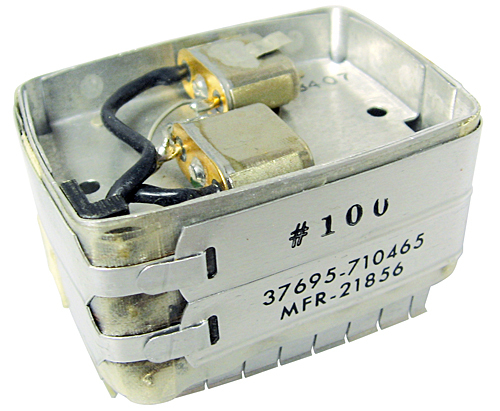 Artisan Electronics Corp. R-390A/URR variable intermediate frequency oscillator. Brand new from Artisan. 3/16" shaft. Use for replacement in R390 or for any project requiring a 455 kc IF. NSN: 5820-00-697-9687. 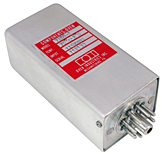 Trimmable 9.9 MHz oscillator, 15 vdc, 375 mw supply. TTL compatible. 13/16" x 1-3/8" x 4".